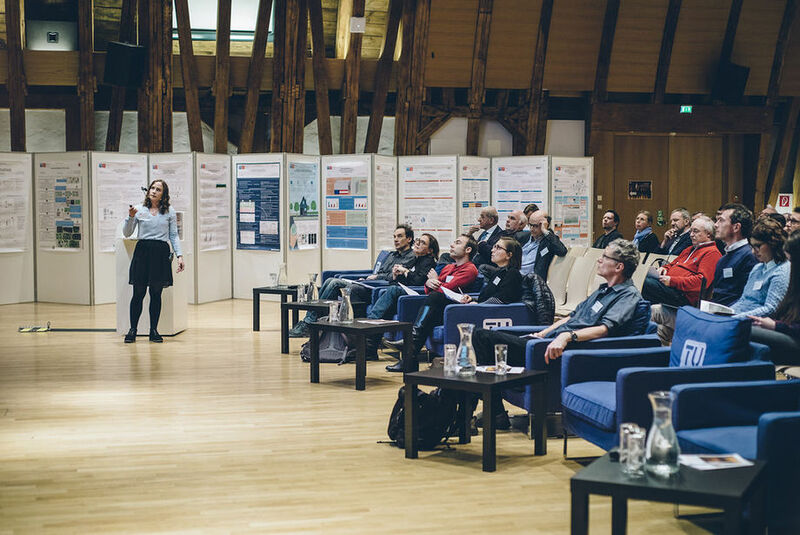 This semester's EPILOG event, at which the Faculty of Informatics presents and honors excellent students and their Master theses, was a successful one for two Master students who wrote their thesis in the Algorithms and Complexity group. Raphael Löffler received one of the two Best Poster Awards for the poster on his thesis "An Interactive Optimization Framework for Point Feature Label Placement", supervised by Martin Nöllenburg and Fabian Klute. Among a competition of over 100 posters, Raphael convinced the EPILOG jury with his poster design and the clarity of exposition. 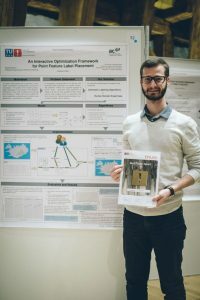 Raphael Löffler with his award-winning poster. Theresa Fröschl was selected by the EPILOG jury as one of four finalists for the Faculty's "Distinguished Young Alumus/Alumna Award". She presented her thesis "Minimizing Wiggles in Storyline Visualizations", supervised by Martin Nöllenburg, in a plenary 10-minute talk together with the other three nominees. The prize went to Katinka Böhm, a student from the Knowledge Based Systems group. Theresa Fröschl presenting her Master thesis. Congratulations to Raphael and Theresa! They are great examples for the excellent research done by our Master students.